00:22 early morning session today. The live-now link does not work on the website. 10:06 turning off SwingFish Helper and reversing USDMXN Hedge to a Short trade. 10:25 Hedging AUDJPY as well .. not a good start in the day .. 3 “losers” in a row. 11:04 exit the AUDJPY trade gaining 0.6% and pay for the failed hedge. price probably goes much future. but well not feeling confident right now. 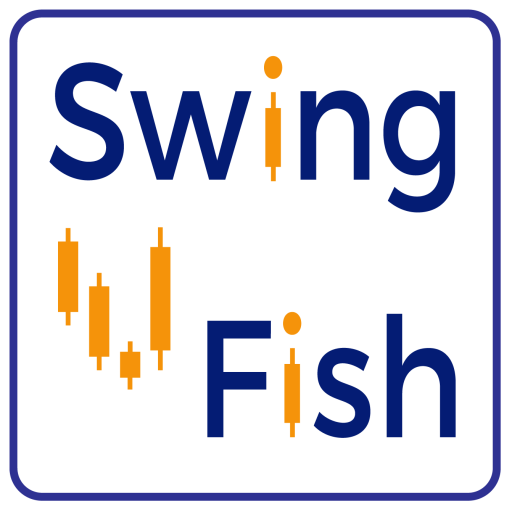 11:10 turning odd the SwingFish helper to allow more drawdown .. (placed counter orders). gonna get off my desk for a moment. 12:26 pending hedge-orders on both USDSGD and USDMXN Filled. 12:47 giving it a nother try to resolve the hedges on both USDSGD and USDMxN on the Long Side. let’s see how that now works out, i have the feeling this will just be a VERY expensive trade set. 13:25 Frankfurt Pre market had not enough Volume.. place another hedge on USDSGD and wait for Cash Market to open. 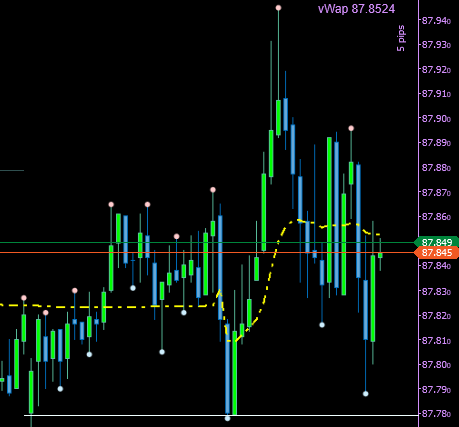 15:37 Hedging the last USDSGD Long trade as the USDollar maybe just made a Fakeout. Price will very likely go up to the trendline .. but i not wantto risk it and lock in the 90$ Profit i have already on this trade. 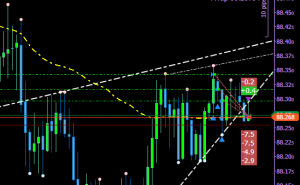 16:11 as promised ..Trendline on USDSGD was reached, tempted to release the hedge on a pullback..
18:44 CLosed the USDSGD hedge at the trendline top .. hoping (yes hoping) for another 45 pips to come to break even. i taking over the stream from yesterday .. as i accidently leaved it running while sleeeping. First .. 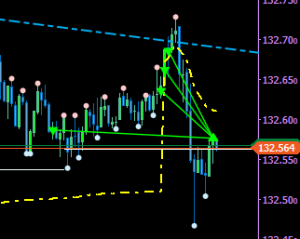 Fade to the vWap on EURJPY. we in the middle of the channel, the price is falling, so we just expect a continuation of the fall back to the vWap. this is usually a valid way, but at this early hour, the vWap become not exactly super reliable .. so things may change on the way down. 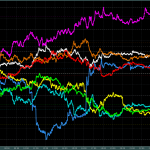 3:55 .. “RollOver” spread just trippled, Plus i beeing charged Swap, putting all positions in a loss. guess we will have to wait this out for another hour. 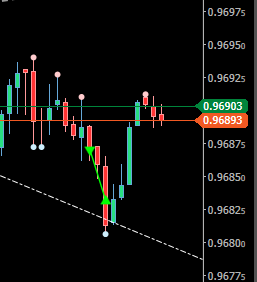 Closed USDMXN as planned on the Trendline adding 3.1% to the Account. 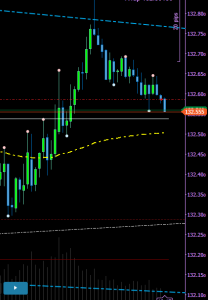 EURJPY on the other hand not going very well. causing a floating 0.4% for today. thinking of closing this trade and take the 0.4% total for today (not decided yet). 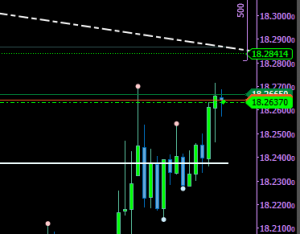 Scaled in 50% on EURJPY short .. let’s see how that does play out now .. aim is 0% or better. went to Bring my Daughter to School (its now 8:30 or so), quick stopover at McDonalds for a Coffee. and back home. resulting in the loss from this morning boiled out, and a total Gain of 4% Booked for the Account. 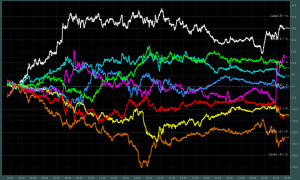 First Started off with AUDJPY Long. 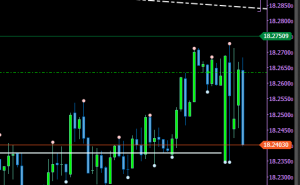 nothing much to say about it .. was plain Bias entry .. no technical stuff, just the fact that the USDollar was going down. first anticipated a long trade .. then reverted to Short which worked well. 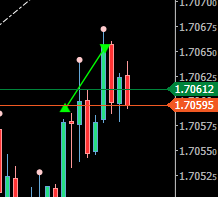 for some reason, I exit early .. as the target (trendline was 6 pips down below) and it was reached as well just a few minutes later. Morning Everyone .. well it’s more Night as it’s about 4 am right now. in the morning i have to make some Government runs .. so no Asia session trades. to keep the spirit and not break the chain .. 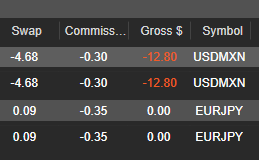 I made a few trades before going to bed. 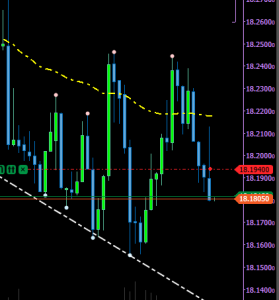 USDMXN Hedged with 4pips distance and AUDJPY hedged with 1 pip distance. 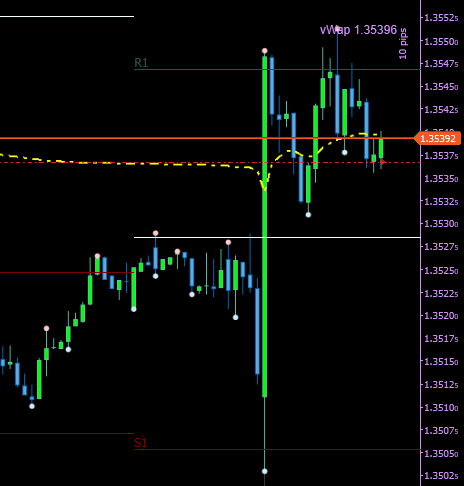 USDCHF quick scalp down from the vWap to the next short-term point. worked out flawless with 0 drawdown. 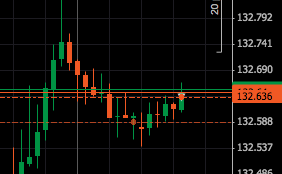 then GBPAUD, this one was a more a cover trade for the failed AUDJPY Trade, it took forever but went as planned so i exit at the next top point to realize the Profit, and placed a Hedge on the AUDJPY Trade. 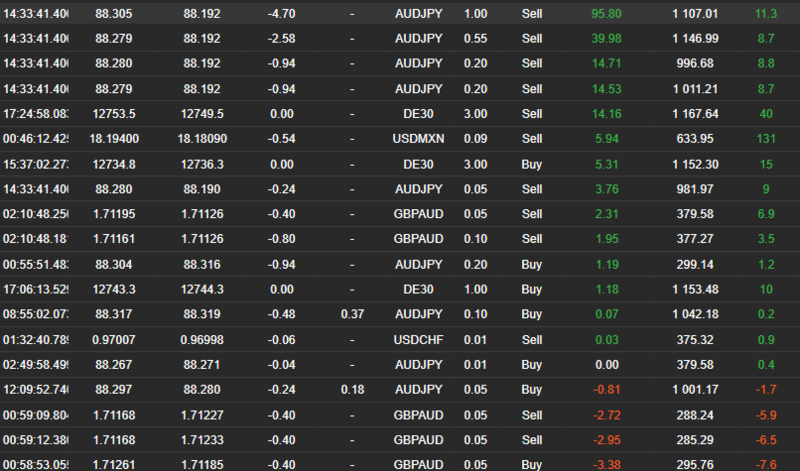 the Hedges USDMXN and AUDJPY where stupid rush-trades. both have almost flat vWap and the Price Structure did not point any clear direction. Closing up Shop today with a +0.945% Gain.